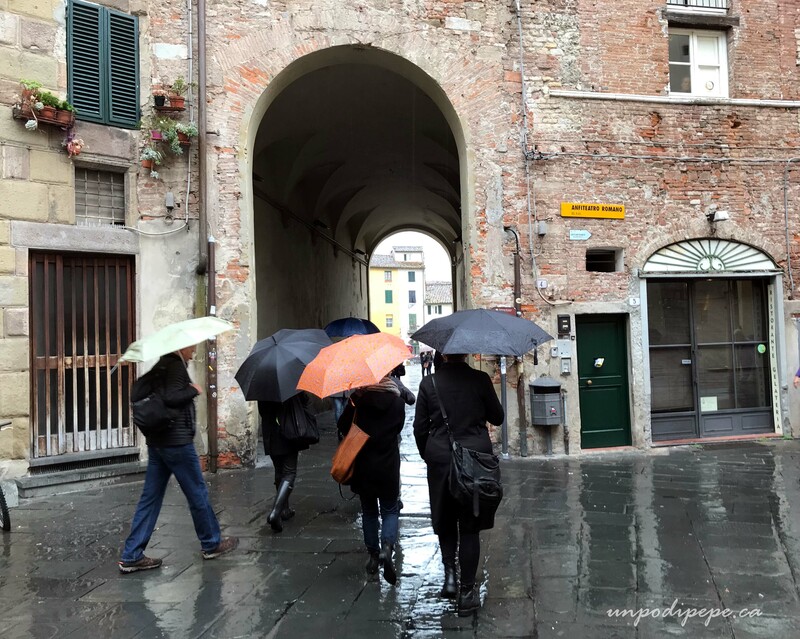 November 1st is Tutti i Santi-All Saints’ Day and is a national holiday in Italia. 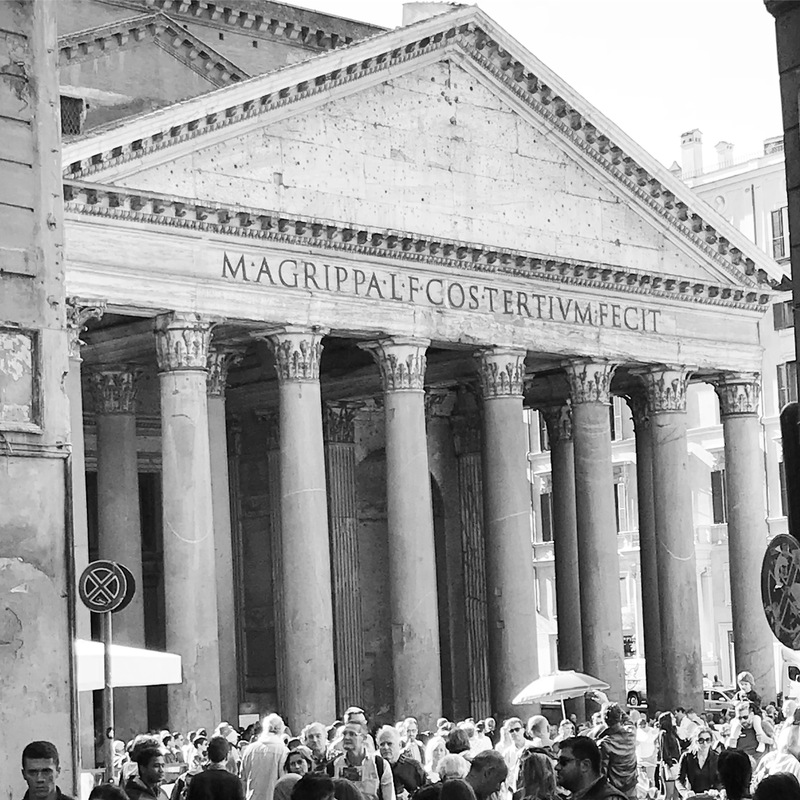 It was created in the 9th century when the Pope superimposed a Christian feast day onto existing rituals, so this festa has been around for a very long time. 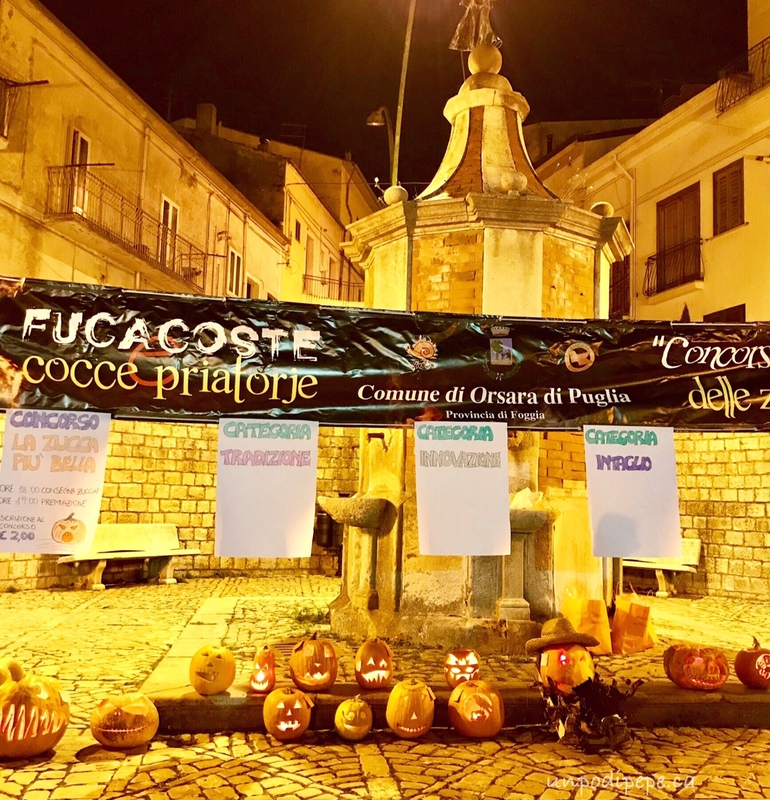 Tonight is also an ancient festa celebrated in Orsara di Puglia called Fucacoste e Cocce Priatorje which is dialetto Orsarese for ‘Falò e teste del Purgatorio’. This translates to ‘Bonfires and heads from purgatory’ the ‘heads’ being zucche lanterne-carved pumpkin lanterns. For simplicity, it is also called ‘Tutti i Santi’ or ‘La Festa dei Morti’. The night between November 1stand 2nd provides the opportunity to honour, reconnect and pay respect to the spirits of loved ones. I wrote about the festa in a 2014 post Fucacoste e Cocce Priatorje, but at that time I had not attended. I had only heard about it from my parents, family and friends. Last year I had the opportunity to attend. It was cold but the night was clear and an absolutely amazing, magical, spriritual experience-for me and at least 20,000 others. Orsaresi who live in other parts of Italia and Europe come home for the festa, and visitors come from all over Puglia. 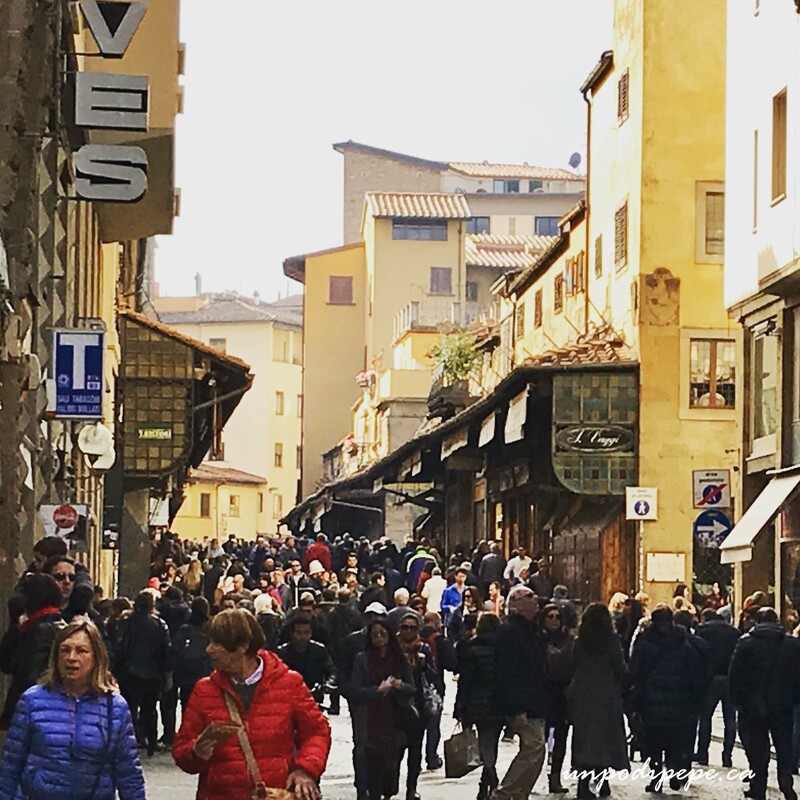 Since it is a holiday, many families are able to take an extra long weekend known as il Ponte dei morti. 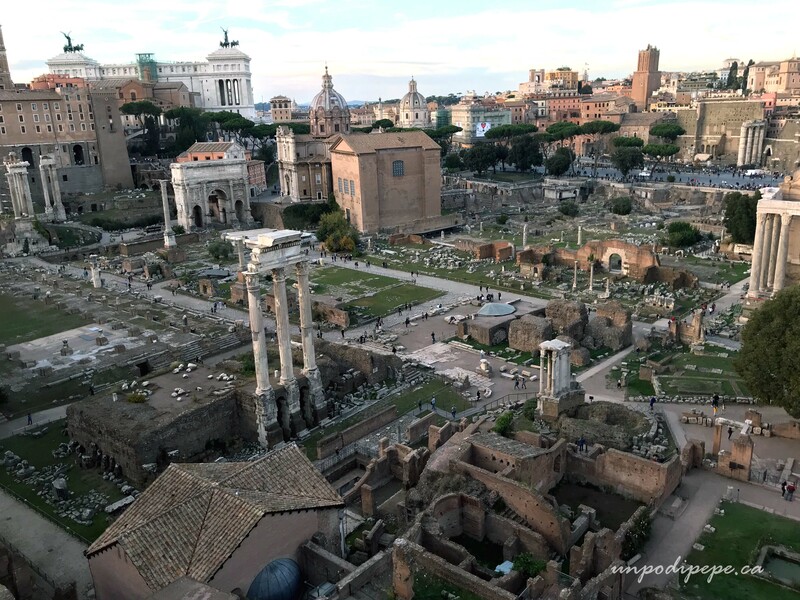 It is believed that this night between Nov 1 and 2, the souls of the recently dead return among the living to visit their relatives and their former homes before moving on to Paradiso. 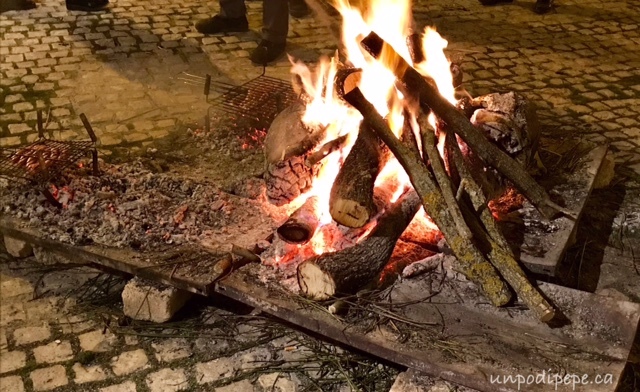 Bonfires are lit with wood and branches of ginestra (broom). 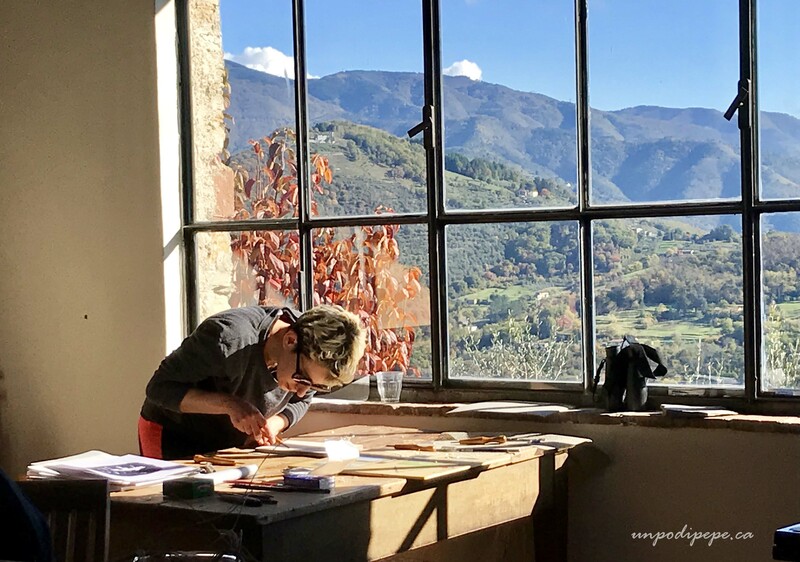 The light of the fires and the crackling and sparks of the ginestra reaching for the sky attract the spirits, to reunite the living with those who continue to live only in our memories. 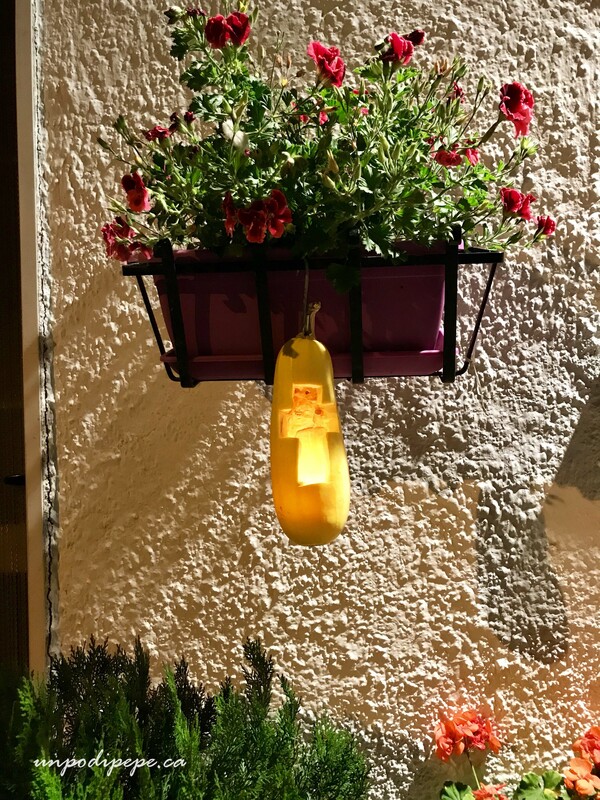 The light inside ‘cocce priatorje’, pumpkin lanterns carved to look like heads or carved with crosses-light their way to find their former home. My paesani are busy preparing for the festa for days. 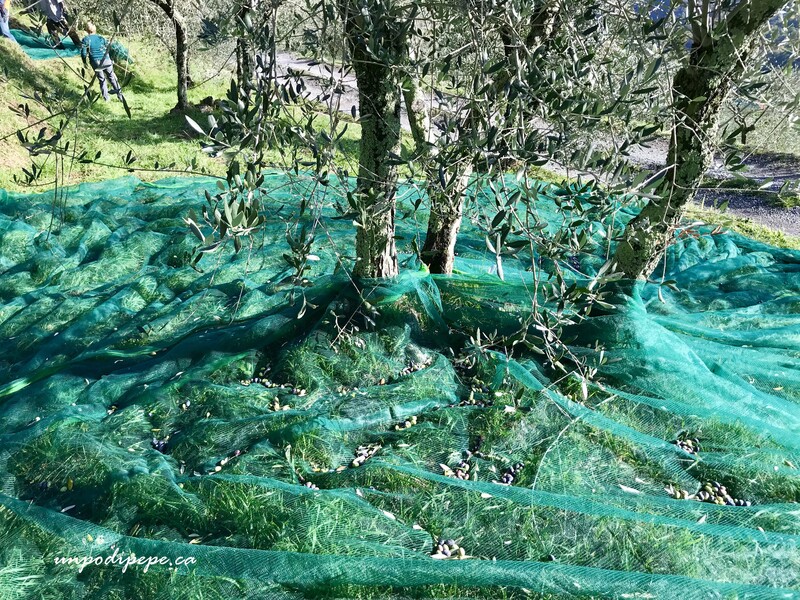 Preparation involves gathering firewood and ginestra, preparing food for family and friends and picking hundreds of locally grown zucche which are carved and placed all over Orsara. Restaurants and bars prepare for one of their busiest nights of the year. 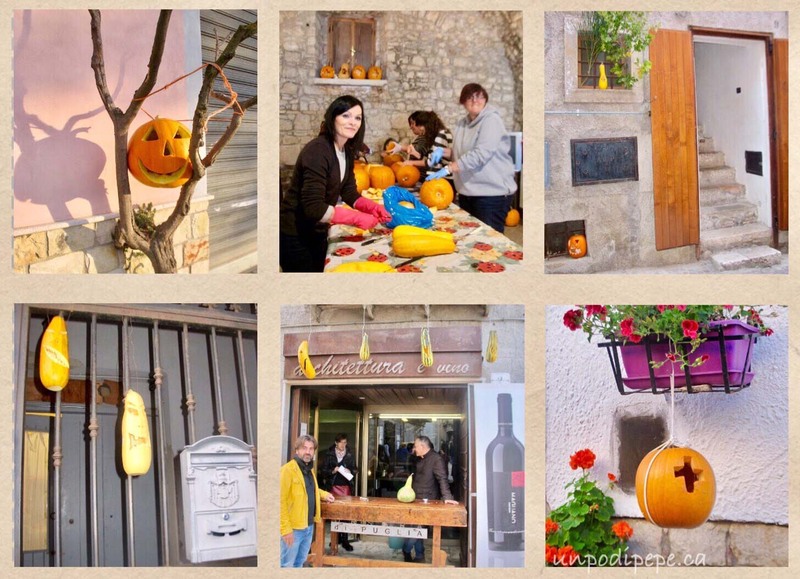 There is even a laboratorio di intaglio delle zucche– a pumpkin carving workshop. 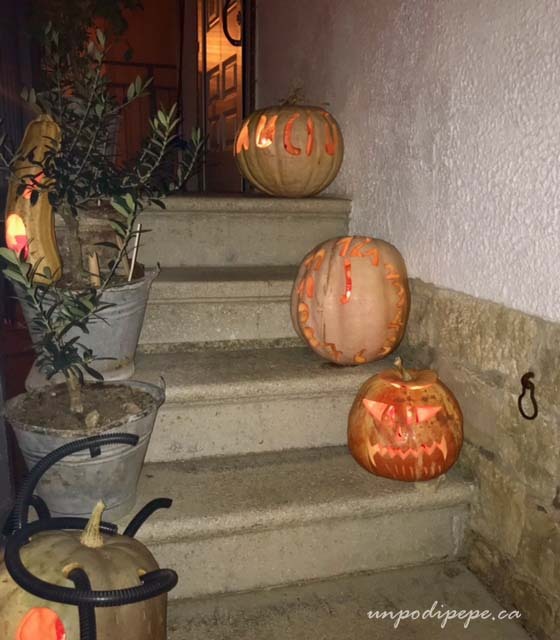 My street, balcony and front door were decorated with zucche. In the evening zucche are exhibited and there is a contest for ‘la zucca più bella’. When the campanile, the church bell tower, strikes 1900 hours, Orsara di Puglia ‘catches fire’. 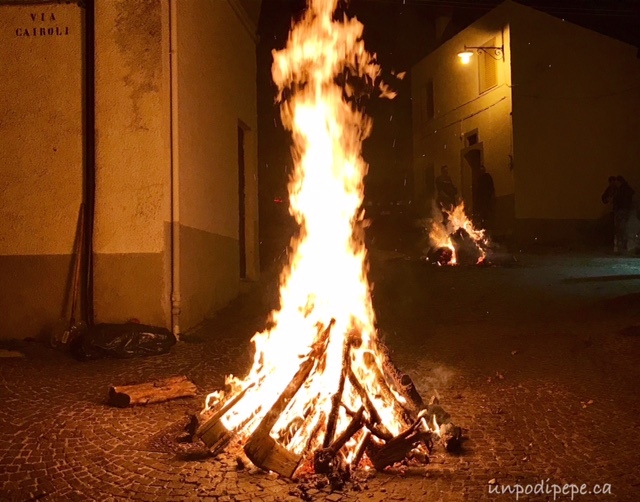 Bonfires are simultaneously lit in every street and piazza and remain lit through the night. 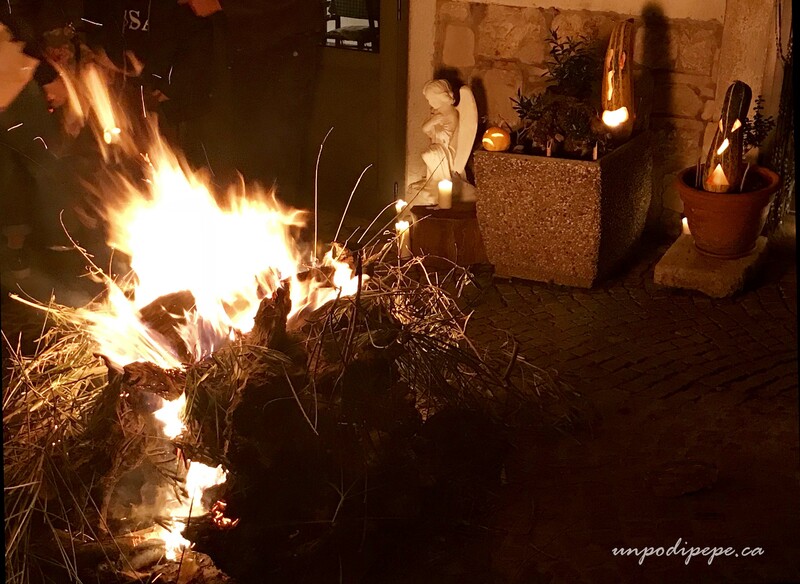 The fires, illuminated zucche, music and people in the streets create a magical, enchanted atmosphere. There are 3 large municipal falò, and every quartiere – neighbourhood, and many families also light their own. I made a point of getting off of the main Corso to visit some of the smaller personal falò. In honour of the dead, simple but symbolic seasonal foods are cooked on the open fires and also served as cibo di strada-street food. 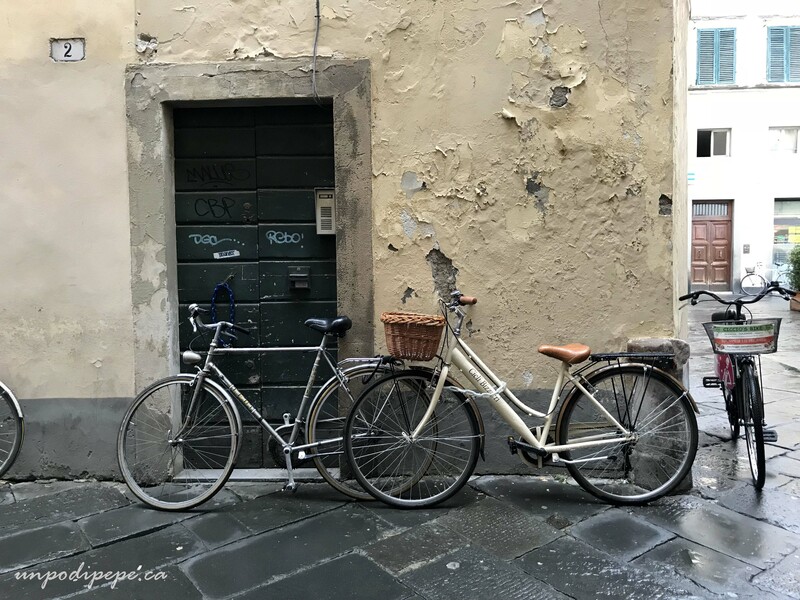 These include patate -potatoes, cipolle-onions, salsicce-sausages, castagne-chestnuts and pane cotto-bread cooked with garlic, potatoes and greens. Muscitaglia (moo•shee•tah•lyah) is a traditional dish served November 1st likely dating back from the ancient Greeks and Byazantines. 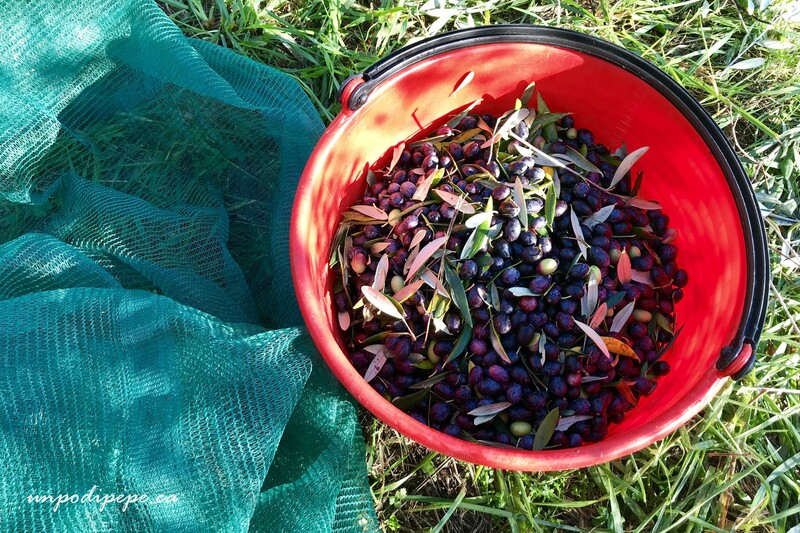 Muscitaglia is made up of the Greek and Latin words mosto (wine must) and talia (grain). The ingredients include boiled grain and vino cotto. 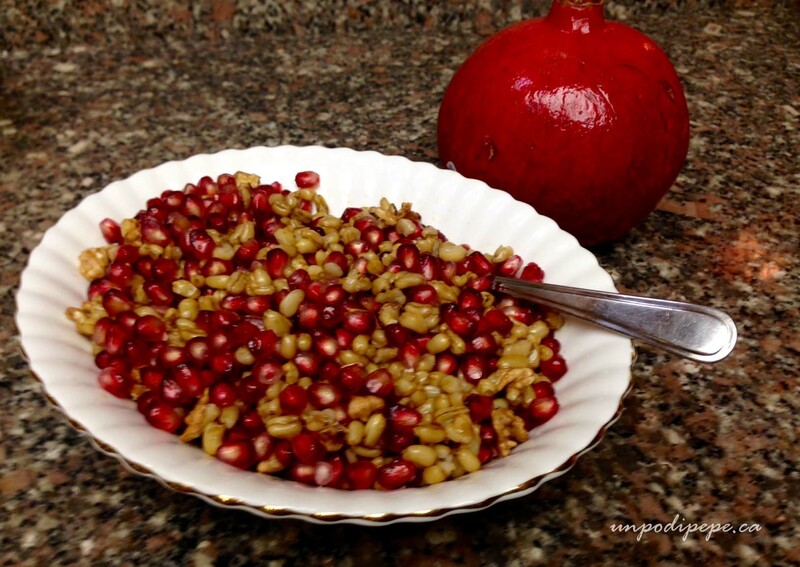 Semi di melagrana e pezzi di noci -pomegranate seeds and walnut pieces are often added. These ingredients are symbols of fertility and abundance, but also of honour and respect for the dead. Fucacoste e Cocce Priatorje has often been confused by visitors with the Anglosaxon Hallowe’en, but it is an entirely different event. Besides the obvious fact that the date is different, dressing up in costume is not part of the custom and there is nothing scary or evil about it. This is the reason for the hashtag #quinonèhalloween. There are more similarities with Mexico’s Dia de los Muertos/Day of the Dead. This event is about being together in community to celebrate the bond between the living and those who we remember in our hearts. It is also to remind us that our time on earth is precious. The following day, November 2nd is l’Anime dei Morti-All Soul’s Day, and it is customary to go to the cemetery to pay respects at the resting place of loved ones. The 9 minute video below features 94 year old Z’Gaetan talking about the festa and its significance. Muscitaglia (moo•shee•TAH•lyah) is a traditional dish served on November 1st in Orsara di Puglia. It probably dates back from the ancient Greeks and Byzantines. 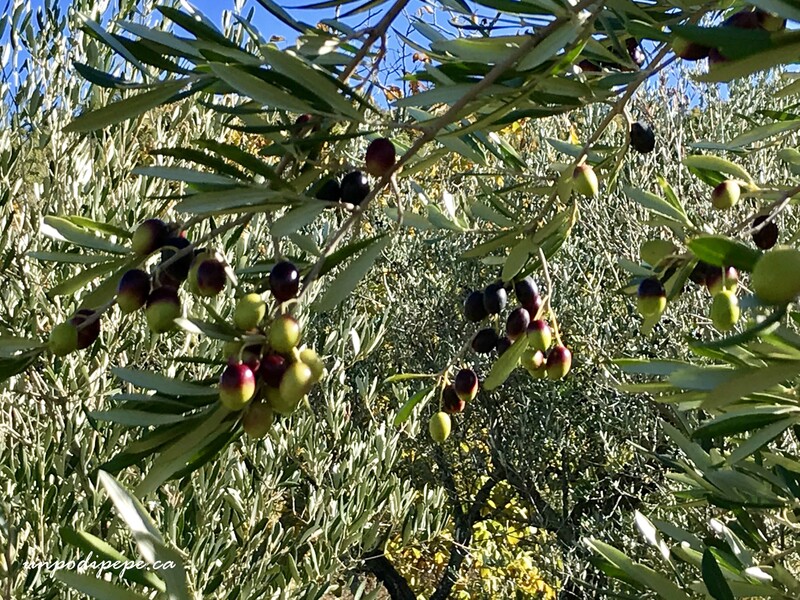 Muscitaglia, in both Greek and Latin is made up of the words mosto (wine must) and talia (grain). 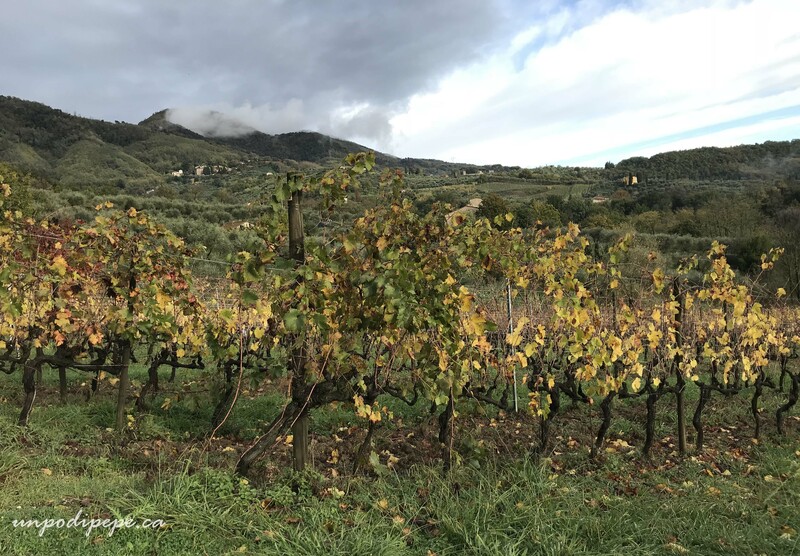 The ingredients include boiled grain and vino cotto, which is actually mosto cotto- boiled down grape must which becomes a thick, sweet liquid. 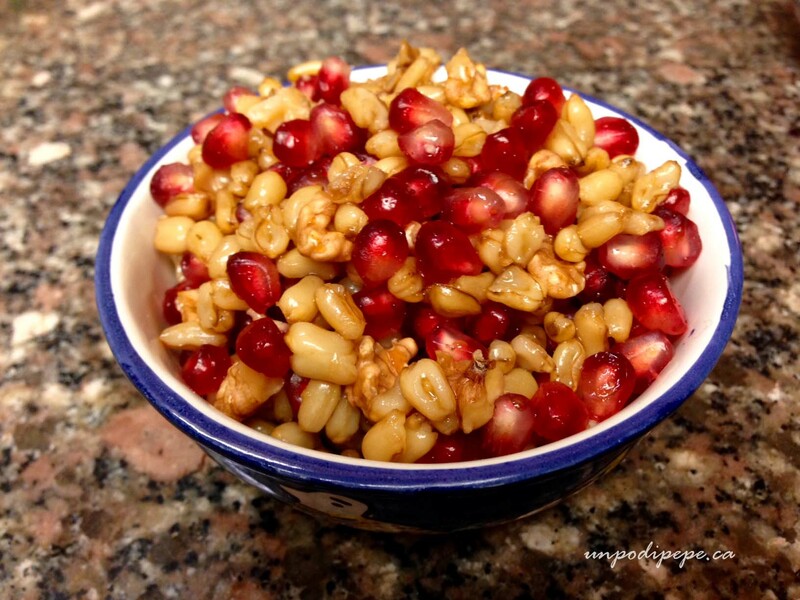 Pomegranate seeds and walnut pieces are also added when available. These ingredients are simple and symbolic of fertility and abundance, but also of honour and respect for the dead. 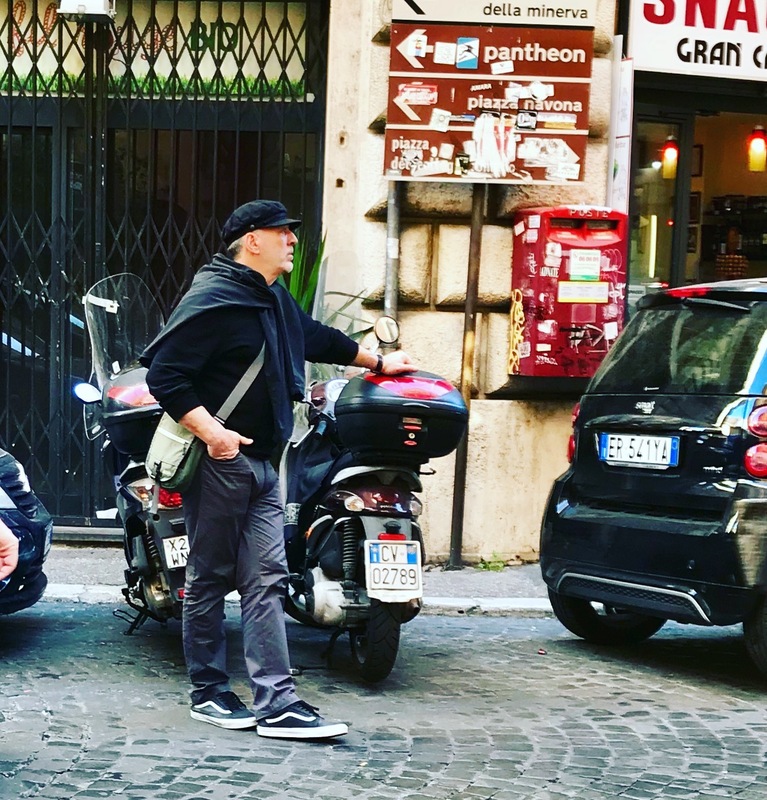 November 1st is the night of Tutti i Santi (All Saints), a night which provides the opportunity to reconnect and pay respects to deceased loved ones. 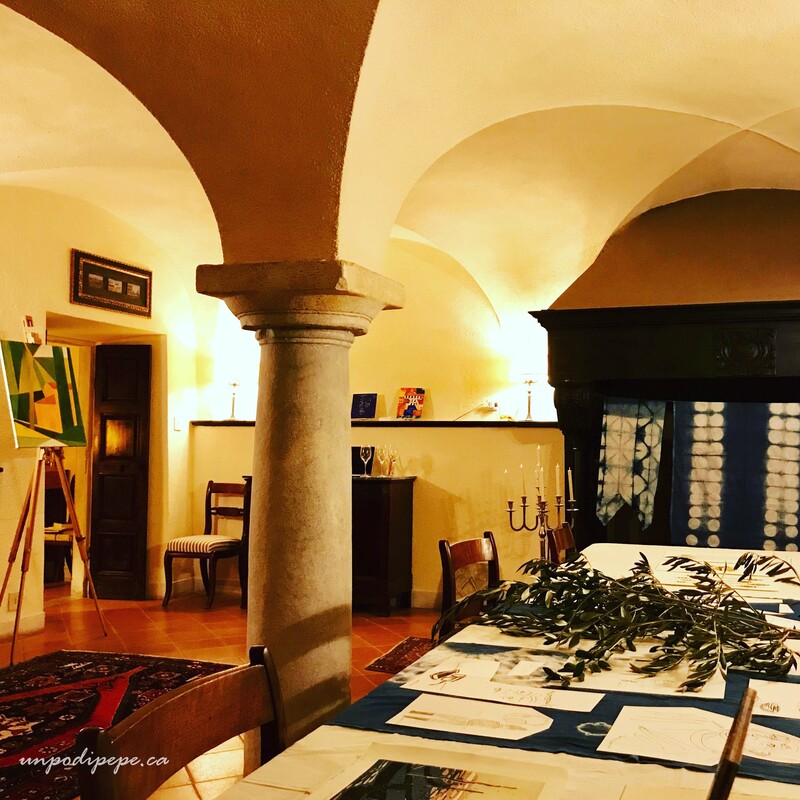 My post on the ancient festival Fucacoste e Cocce Priatorje which takes place in Orsara di Puglia has more information on the traditions and festivities. Tonight is a big festa in Orsara di Puglia, so I am reposting this from last year. 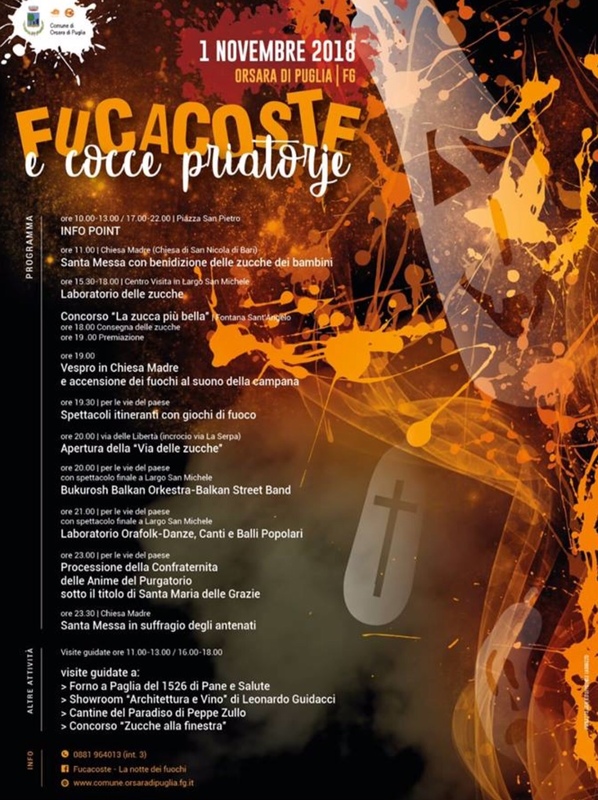 Fucacoste e cocce priatorje is dialetto Orsarese for ‘Falò e teste del Purgatorio’. This translates to ‘Bonfires and heads from purgatory’. 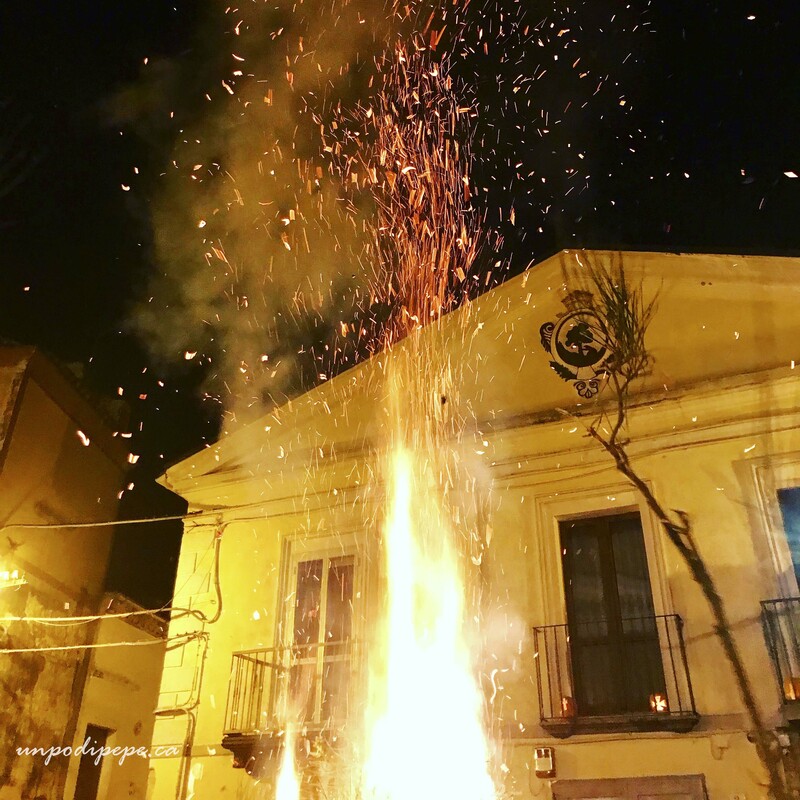 It is an ancient festival unique to Orsara di Puglia celebrated on November 1st, the night of ‘Tutti i Santi’ (All Saints Day). 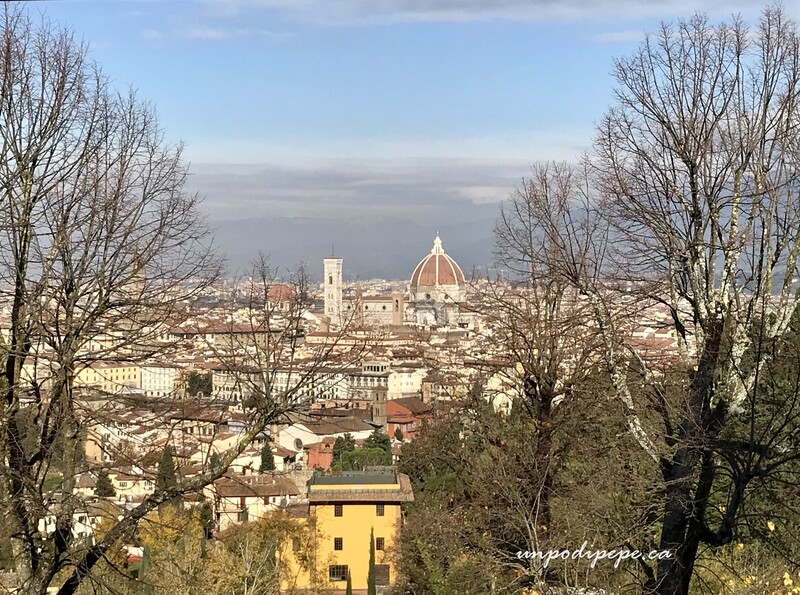 All Saints Day was created in the 9th century when the Pope superimposed a Christian feast day onto existing rituals, so this festa has been around for a very long time. It is a night where people have the opportunity to honour, reconnect and pay respect to the spirits of their loved ones. Carabinieri estimate that the town of 3,000 had 40,000 visitors attend the festa tonight, with 9,000 cars parked up to 3 km away! 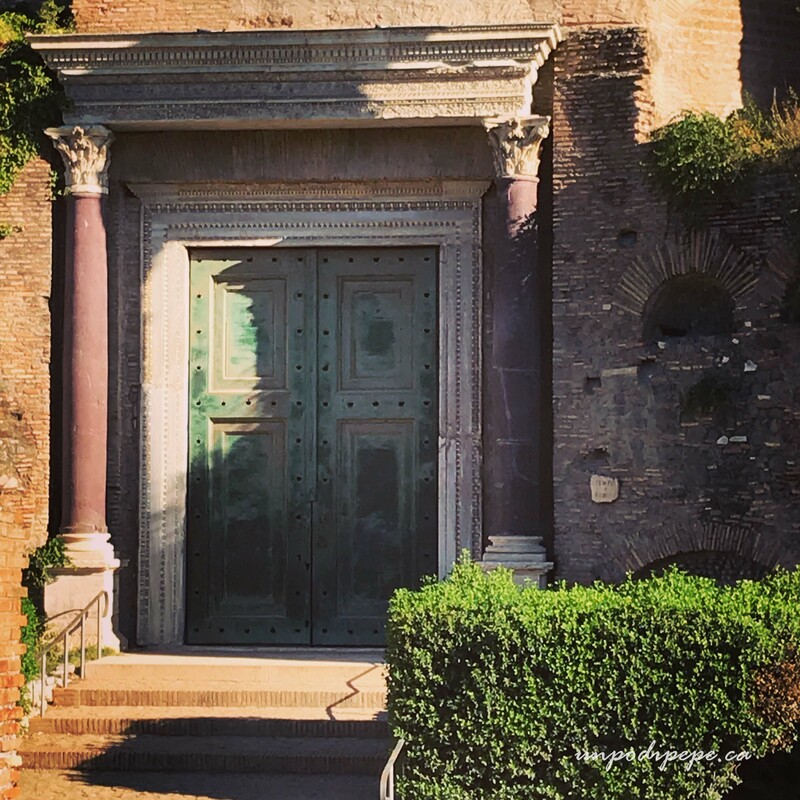 It is believed that the souls of the dead return among the living to visit their relatives and their former homes before moving on to Paradiso. 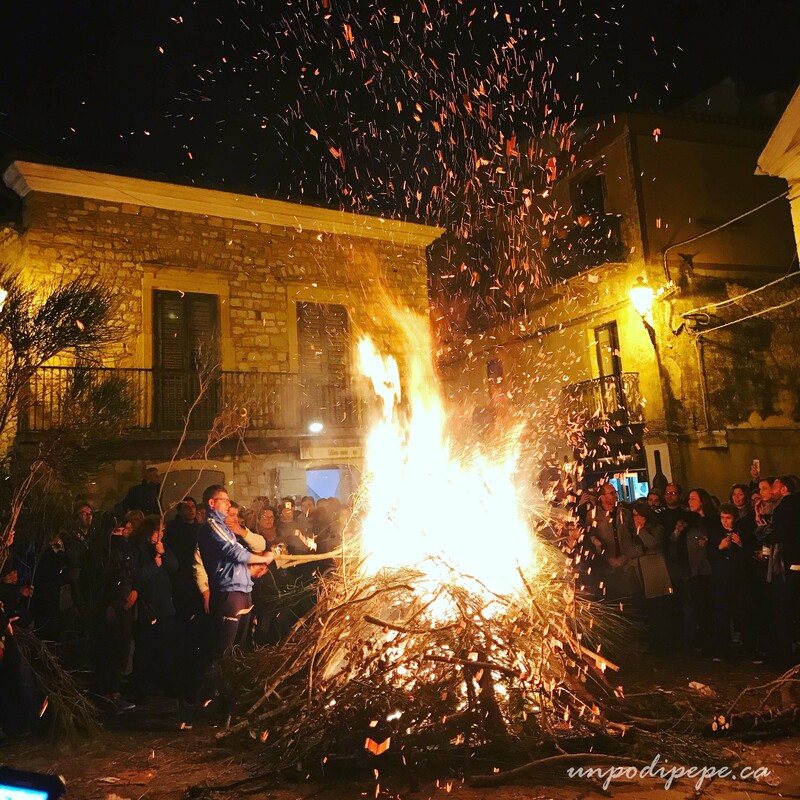 The bonfires are lit with wood and branches of ginestra (broom). 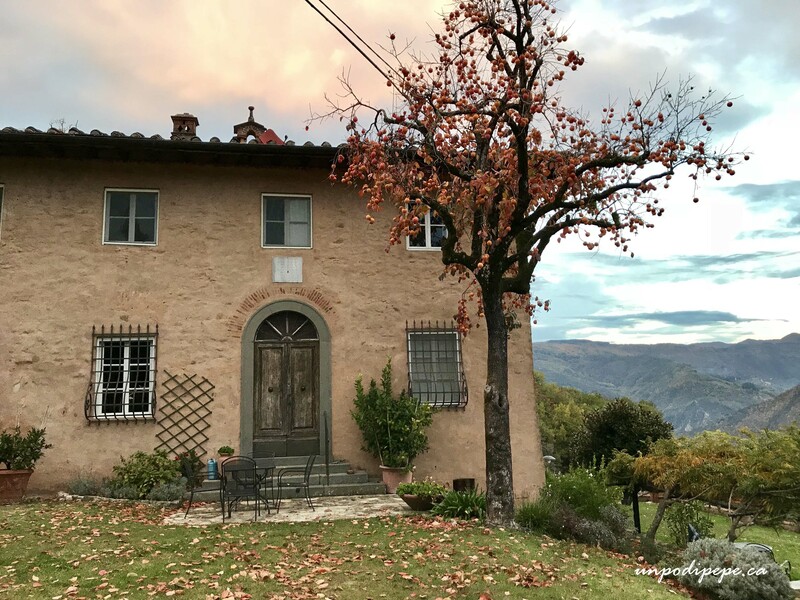 The light of the fires and the crackling and sparks of the ginestra attract the spirits to reunite the living with those who continue to live only in their memories. The souls of the dead loved ones collect ashes from the fires. 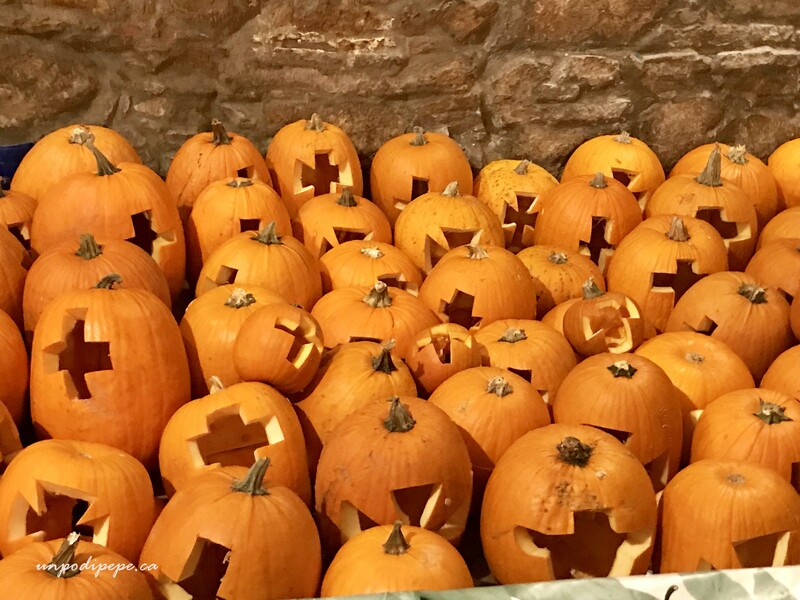 The gleam of light inside ‘cocce priatorje’, pumpkins carved to look like heads-light their way to find their former home. 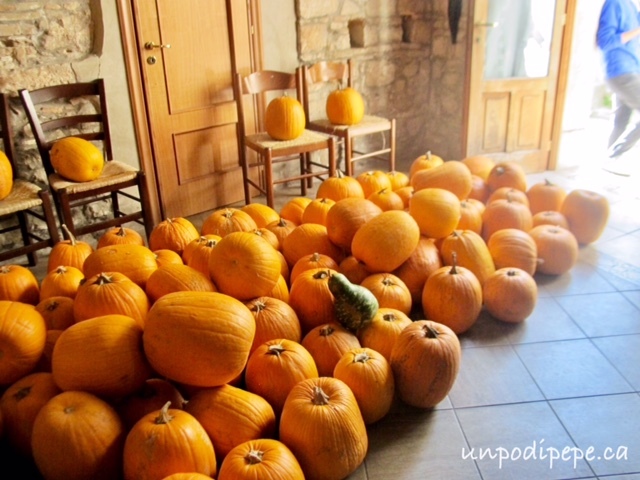 Preparation for the festa involves gathering firewood and ginestra, preparing food and carving zucche (pumpkins). There is even a BYOZ (bring your own zucca) pumpkin carving workshop. Later in the evening zucche are exhibited and there is a contest for ‘la zucca più bella’-the best zucca. In honour of the dead, simple but symbolic foods are prepared. These include potatoes, onions, salsicce (sausages) and castagne (chestnuts) cooked in open fire. Muscitaglia is a traditional dish served on November 1st which probably dates back from the ancient Greeks and Byzantines. 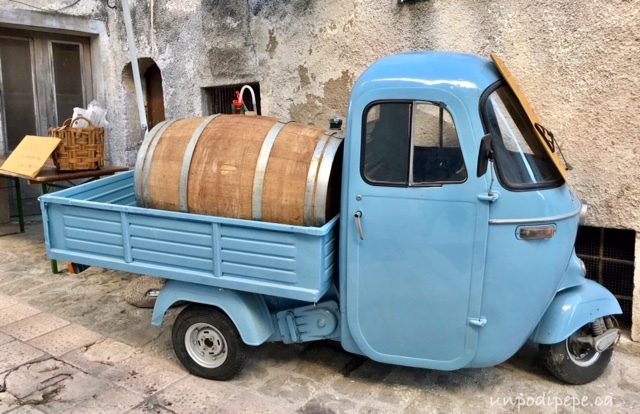 Muscitaglia (moo•shee•tah•lyah) in both Greek and Latin is made up of the words mosto (wine must) and talia (grain). 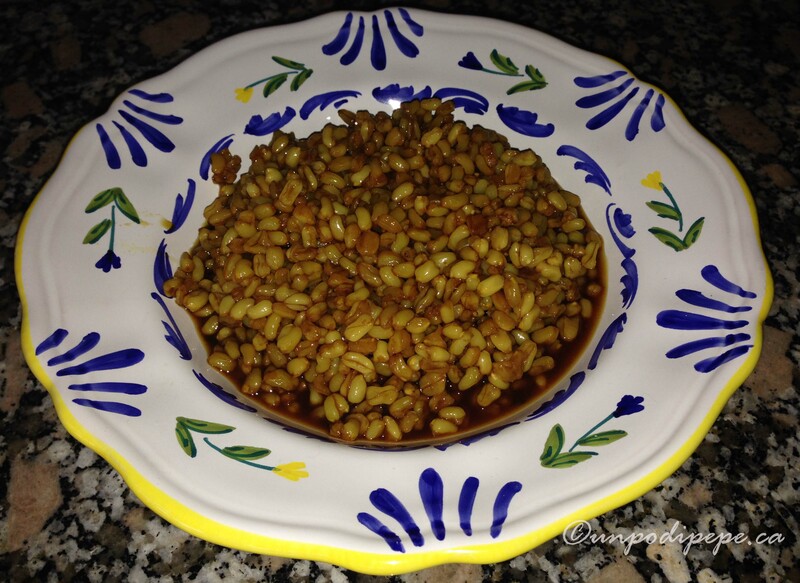 The ingredients include boiled grain and vino cotto (literally cooked wine-also called mosto cotto). Pomegranate seeds and walnut pieces are sometimes added. These ingredients are symbols of fertility and abundance, but also of honour and respect for the dead. When the campanile (church bell tower) strikes 1900 hours (7 pm), Orsara di Puglia ‘catches fire’. 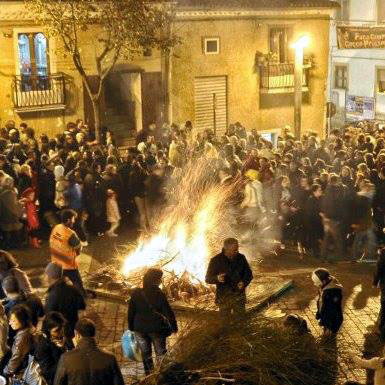 Over 100 bonfires are simultaneously lit in every street and piazza and remain lit through the night. 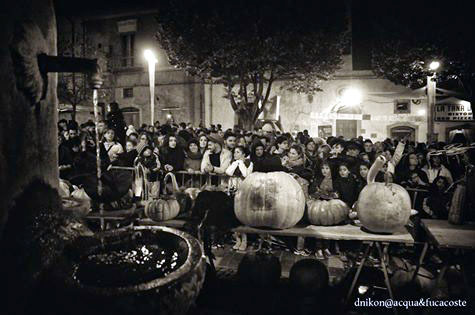 The fires, pumpkin lanterns, music and people in the streets create a magical, enchanted atmosphere. Fucacoste e Cocce Priatorje has often been confused with Hallowe’en, but it is a very different event. Besides the fact that the date is different, dressing up in costume is not part of the custom, there is nothing scary about it and there are no evil spirits to chase away. It has more similarities with the Mexican Dia de los Muertos, Day of the Dead. This is an event about being together in community to celebrate the bond between the living and those who we remember in our hearts, and to remind us that our time on earth is precious. 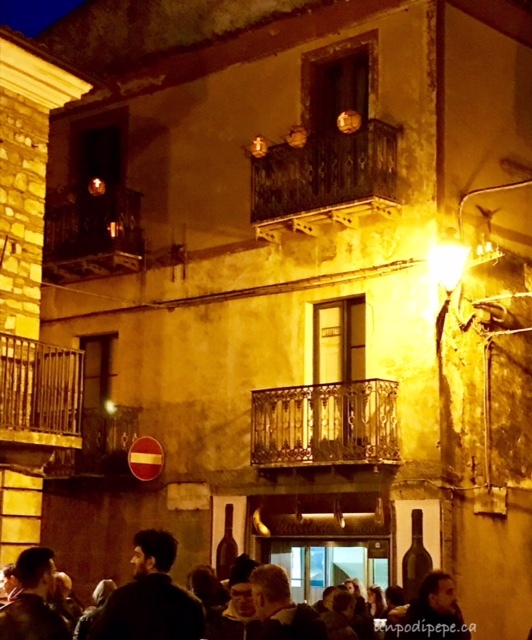 Read about tonight’s festa (in Italiano) on the Comune di Orsara di Puglia website. 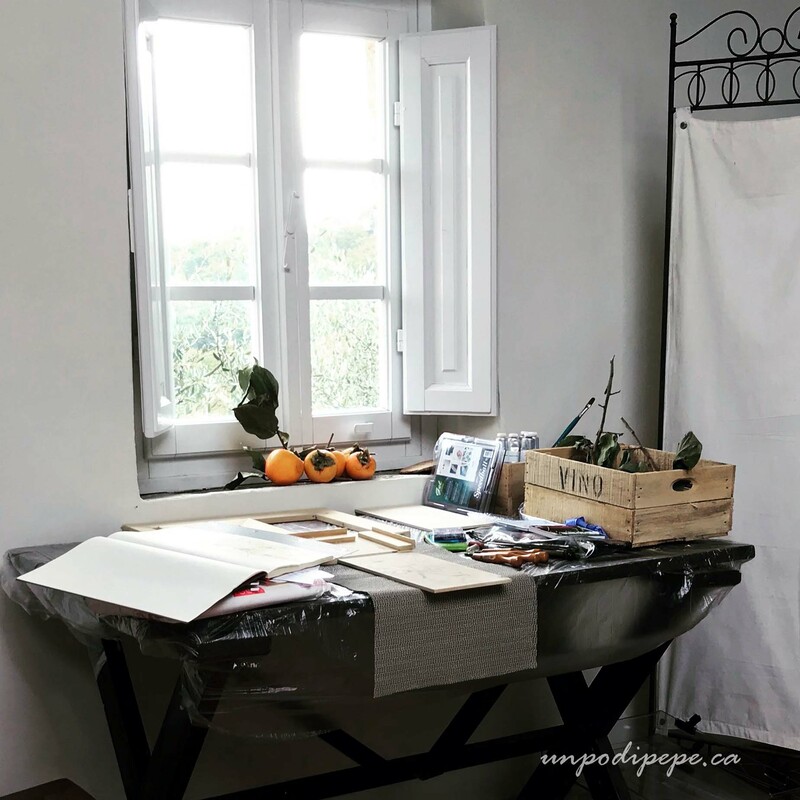 For more about Orsara di Puglia read the post ‘Benvenuti ad Orsara di Puglia’. Ci vediamo alla festa! Fucacoste e cocce priatorje is dialetto Orsarese for ‘Falò e teste del Purgatorio’. This translates to ‘Bonfires and heads from purgatory’. 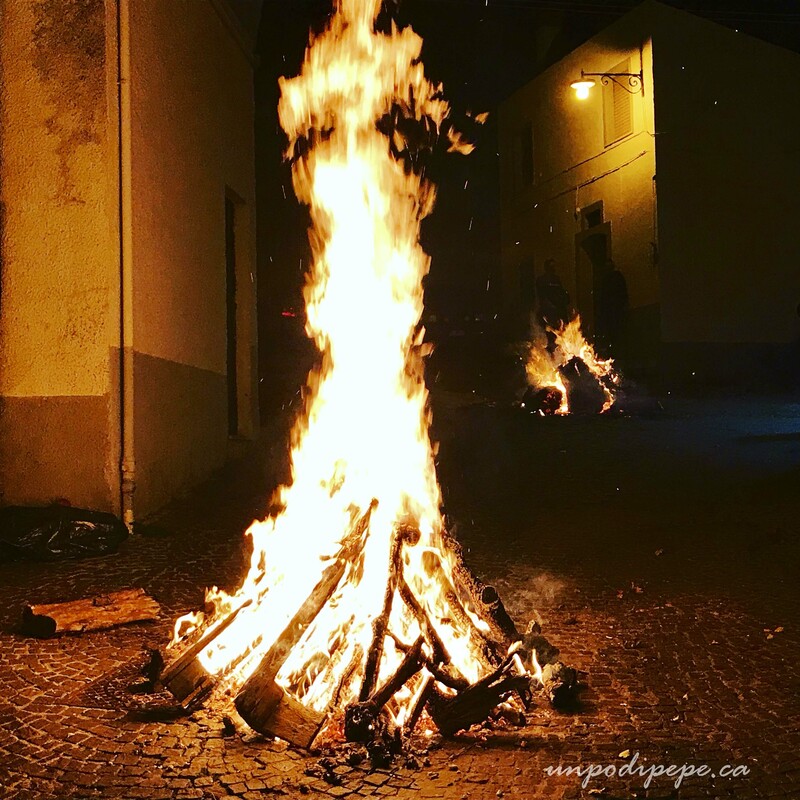 It is an ancient festival unique to Orsara di Puglia celebrated on November 1st, the night of ‘Tutti i Santi’ (All Saints Day). 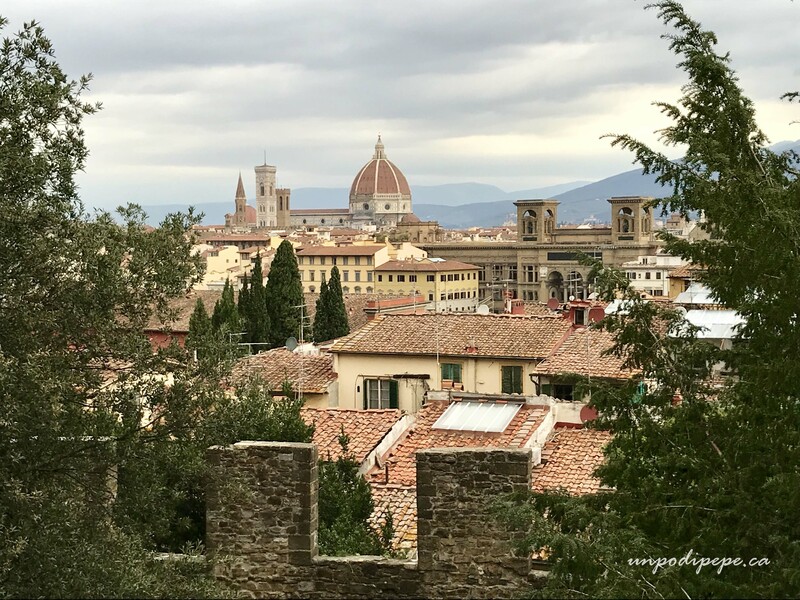 All Saints Day was created in the 9th century when the Pope superimposed a Christian feast day onto existing rituals, so this festa has been around for a very long time. It is a night where people have the opportunity to honour, reconnect and pay respect to the spirits of their loved ones. Carabinieri estimate that Orsara (pop 3,000) had 40,000 visitors attend the festa tonight, with 9,000 cars parked up to 3 km away! When the campanile (church tower bell) strikes 1900 hours (7 pm), Orsara di Puglia ‘catches fire’. 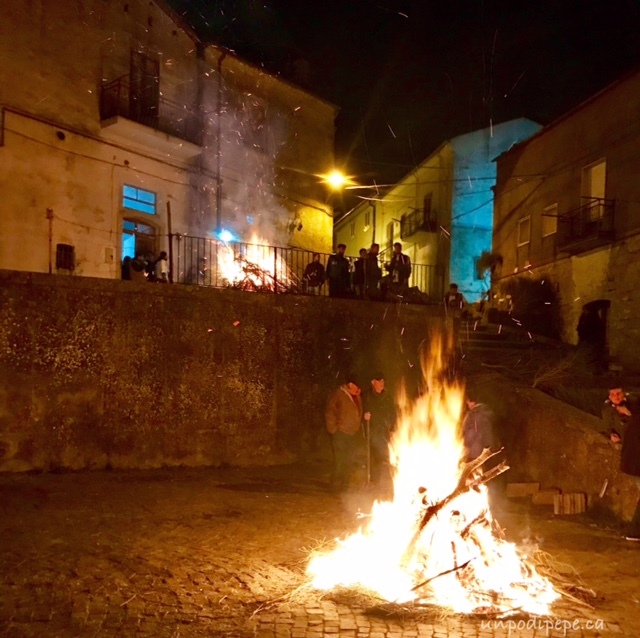 Over 100 bonfires are simultaneously lit in every street and piazza and remain lit through the night. 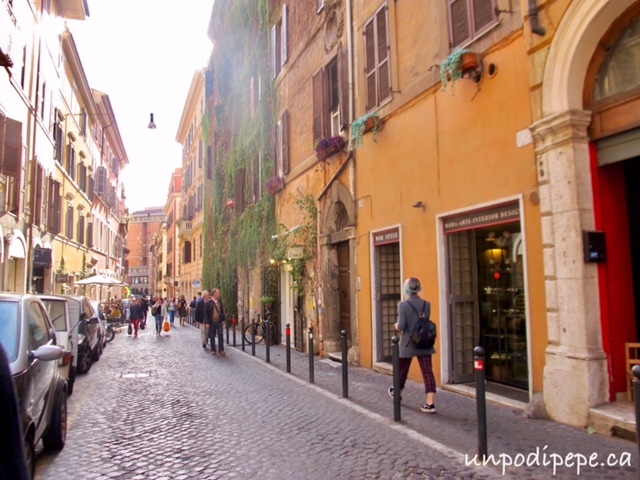 The fires, pumpkin lanterns, music and people in the streets create a magical, enchanted atmosphere. 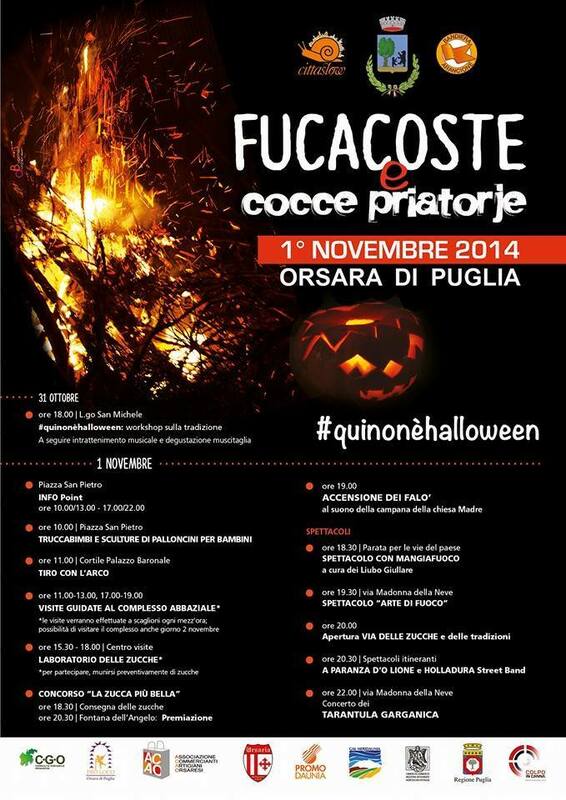 Fucacoste e Cocce Priatorje has often been confused with Hallowe’en, but it is a very different event. Besides the fact that the date is different, dressing up in costume is not part of the custom, there is nothing scary about it and there are no evil spirits to chase away. It has more similarities with the Mexican Dia de los Muertos/Day of the Dead. This is an event about being together in community to celebrate the bond between the living and those who we remember in our hearts, and to remind us that our time on earth is precious.